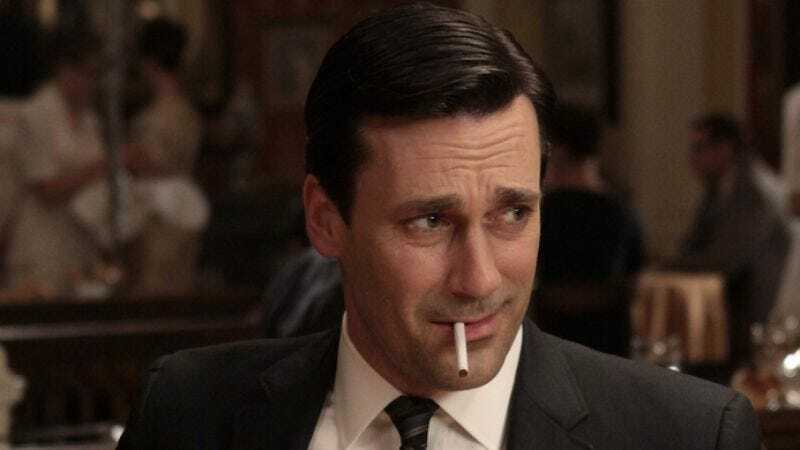 Jon Hamm will once again play his alpha-male persona for comedy kicks in the upcoming second season of The Increasingly Poor Decisions Of Todd Margaret, according to IFC. The network didn’t divulge what Hamm’s role would be, exactly, but it seems safe to assume that he will be handsome and most likely socially crippled in some way as a result, in keeping with the sorts of characters he’s played in his cameos on 30 Rock and in Bridesmaids. In that sense, Hamm should prove a source of constant agony for the insecure characters portrayed by David Cross and Will Arnett when the show returns in January 2012. Unless they’re going a completely different direction here, and Hamm is playing the Queen. Everyone would still be on board with that probably.